White House spokesman Jay Carney confirmed that CIA Director John Brennan visited Ukrainian capital Kiev over the weekend and met with high-ranked Ukrainian officials. 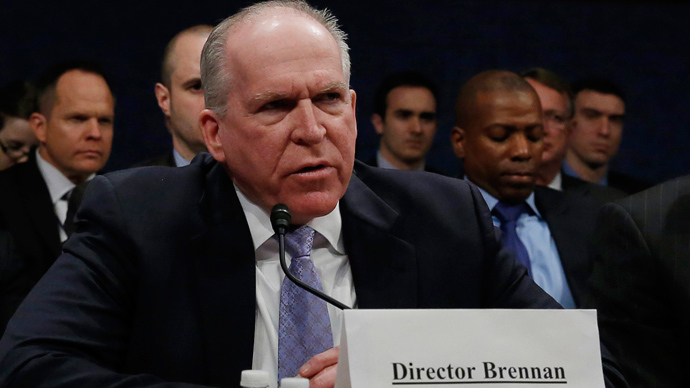 Previously, deposed Ukrainian President Viktor Yanukovich accused Brennan of ordering a crackdown on pro-Russian activists in the east of the country. The CIA had already dismissed these accusations as "completely false", but did not disclose whether its chief had actually been to Kiev - until now. "We don't normally comment on the CIA director's travel but given the extraordinary circumstances in this case and the false claims being leveled by the Russians at the CIA we can confirm that the director was in Kiev as part of a trip to Europe," White House spokesman Jay Carney told reporters. 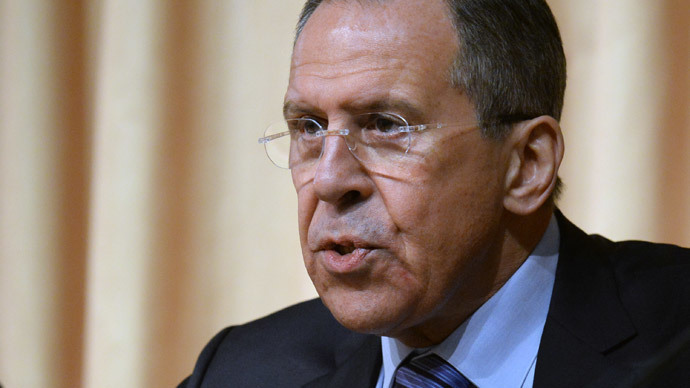 Russia's Foreign Minister Sergey Lavrov had also demanded an explanation about the nature of the visit. "Senior level visits of intelligence officials are a standard means of fostering mutually beneficial security cooperation including U.S.-Russian intelligence collaboration going back to the beginnings of the post-Cold War era," Carney explained. "U.S. and Russian intelligence officials have met over the years. To imply that U.S. officials meeting with their counterparts is anything other than in the same spirit is absurd." In an interview aired on Russian state television on Sunday, Yanukovich, who has been in southern Russia since fleeing Ukraine in February, said that Brennan had “sanctioned the use of weapons and provoked bloodshed." “The US bears its share of responsibility for starting a civil war in Ukraine, not only through diplomatic influence, but its security forces, which do not only meddle, but issue orders,” said the Ukrainian politician. 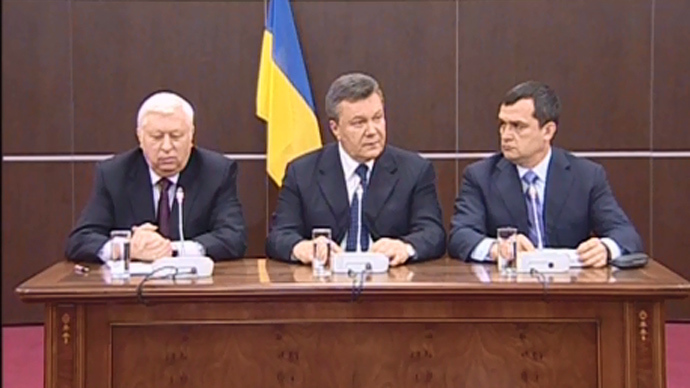 On Monday, Aleksandr Yakimenko, the head of Ukraine's security service, the SBU, during Yanukovich's term went one step further, and said that his successor, Valentin Nalivaychenko, is a double agent working for the CIA. "Nalivaychenko was recruited by the US when he was Ukraine's Consul General in Washington [2001-2003]," said Yakimenko, for whom an arrest warrant has been issued in Kiev since he left the country last month, while speaking to Russia's Channel One. "The US is currently creating a sort of controlled chaos that is helping to blow up the bridges between Russia and Ukraine." Acting President Aleksandr Turchinov has announced that “an anti-terrorist operation” will be carried out against armed protesters, who have occupied government buildings in the Russian-speaking east of the country. Gunfire has already been exchanged in the provincial city of Slavyansk, resulting in the death of at least one Ukrainian soldier. 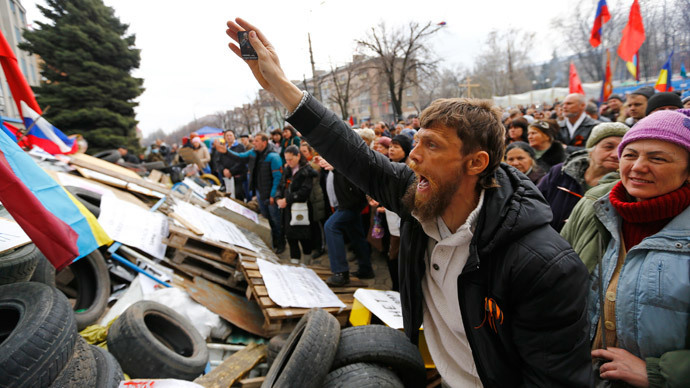 Turchinov insists that the protesters are led and funded by Russian security services, and says that Moscow is executing "the Crimean scenario" that will lead to the secession of eastern territories from Ukraine. He has requested a UN intervention in the region.